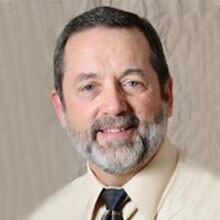 Dr. David McFadden is a co-owner and Clinical Director at Village Counseling Center. He is a Licensed Marriage and Family Therapist and a Licensed Clinical Professional Counselor. Dr. McFadden received a DMin and MA from California Graduate School of Theology in Pastoral Counseling, MS from Northern Illinois University in Marriage and Family Therapy, and a BA from Lincoln Christian University in Pastoral Ministry. Dr. McFadden has been helping adolescents and adults for over 30 years, specializing in marital affairs. Dr. McFadden is an adjunct professor at Judson University and Lincoln Christian Seminary. He has been invited to speak and present workshops on a variety of topics, including marriage and family issues, in the U.S. and six foreign countries. He has also completed specialized training in critical incident management to work with victims of severe trauma. Dr. McFadden is a member of the American Association for Marriage and Family Therapy.